I don't usually buy magazines as I tend to flick through them once and then never look at them again, but I am a sucker for a freebie, so when I saw that the June issue of Marie Claire came with a free Lip & Cheek Stain worth £10 from The Body Shop, I picked it up and raced to the till. The Body Shop, although BUAV approved, are now owned by L'Oreal, who famously still use animal testing. Some cruelty free consumers therefore avoid The Body Shop as they do not like the fact that their money ultimately ends up in L'Oreal's pockets. Whilst I largely agree with this, and I do not buy from The Body Shop very often, I also think it is good that they still stand by their beliefs and continue to be a leading name in the cruelty free cosmetics industry. 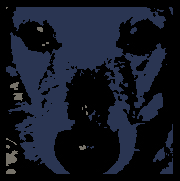 They are also leading the BUAV's new campaign Cruelty Free International, which calls for a complete ban on animal testing worldwide (be sure to add your name to the pledge here!). L'Oreal recently announced plans to reduce animal testing by using reconstructed biological tissue - or artificial skin - and have partnered with the Environmental Protection Agency (EPA) in order to find new research methods to make animal testing obsolete. This is promising news, as if L'Oreal become completely cruelty free, I feel that other big name brands will follow suit. The Lip & Cheek Stain came in two colours to choose from - Rose Pink or Bronze Glimmer. I opted for the latter. I have been wearing it nearly every day on my cheeks, but I haven't used it on my lips yet as I don't always wear lip products. The colour initially looks dark bronze but as you blend it in it becomes more pink in colour, with pretty flecks of gold. It blends in beautifully on the skin to create a subtle glow, and you can easily build up the colour if you want to. I really like this product and I think it suits my pale complexion perfectly. The only thing I am not too keen on is that the product has a slightly unpleasant smell, but once you've applied the product this disappears. 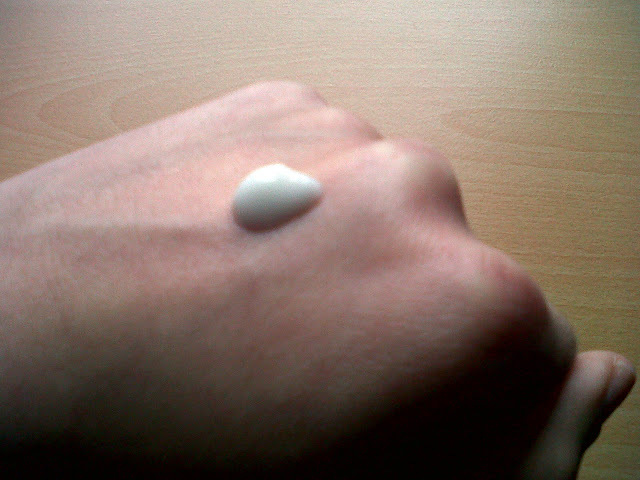 This is a daytime moisturiser that is suitable for all skin types, including sensitive. It contains only seven ingredients, including jojoba and evening primrose oils which are nourishing and rich in vitamin E, rose hip oil to regenerate skin and promote healing, and blue mallow and lavender to soothe and prevent inflammation. I loved the aroma of this product; it also contains rose and vanilla which are two of my favourite essential oils. I think some people are slightly wary of using oils on their face for fear of making their skin more oily or having a greasy appearance, but neither is the case if the product is used correctly. You should use a little of the product and add more if you need to. 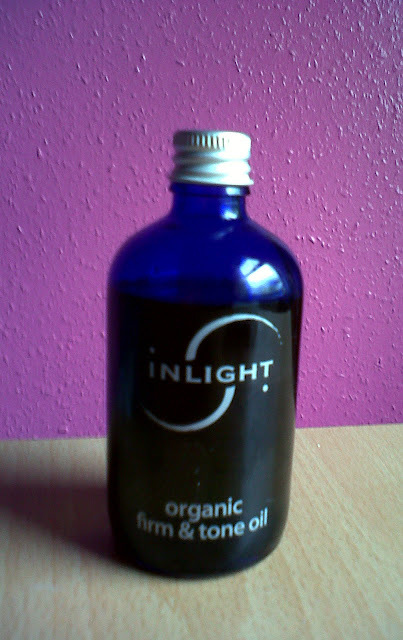 This oil was easily absorbed into my skin and it felt really soft and moisturised afterwards. It did not irritate my cheeks, which can be quite sensitive, and it did not worsen my oily T-Zone either, so I was really pleased with the product. This astringent body oil uses a combination of oils and herbs to help tone tired skin and to aid the treatment of cellulite and water retention. It contains ingredients such as jojoba oil and meadowsweet to promote scar healing, ylang ylang, petitgrain and lemon for their toning properties, and ginger and rosemary for their revitalising and stimulating actions. I massaged the oil all over my body each night before bed, and my skin was left feeling smooth and moisturised, and it did indeed appear more toned. The aroma of this product is absolutely gorgeous too - it's a spa treatment in a bottle! This nourishing balm contains vitamins E, F and D plus essential fatty acids to help promote better circulation and to aid the treatment of varicose veins and other vein problems. It contains ingredients such as cypress and witch hazel for their vasotonic and astringent properties, and marigold, plantain and lavender for their healing effects. I massaged the balm into my feet and legs after a night out in high heels. My feet were slightly sore when I got home but after using this product they felt so much better. My feet and legs felt soft and really refreshed too. I don't really have any vein problems on my legs, but if and when I do develop them, I would definitely try this product out again as it looks promising. 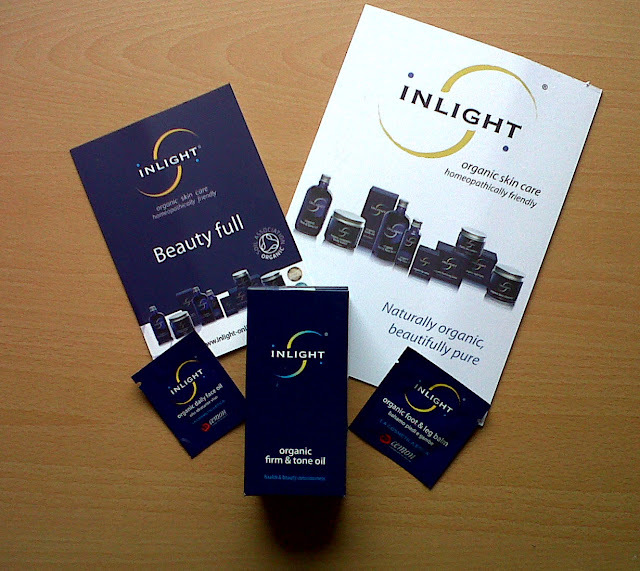 Overall I was really impressed by Inlight's products. 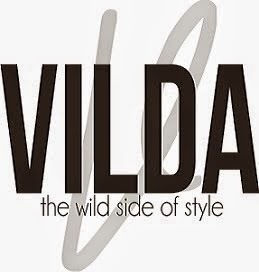 Full product information is listed on their website, and they have lots more fab products available including a cleanser, night balm and an eczema treatment, so go and check them out! Pet Food is Tested on Animals?! Well of course it is, I hear you cry - doggies and moggies have to ensure that their food is palatable before it is sold, just the same as our food. This is true, however, I am talking about a different kind of testing. Some pet food companies carry out painful, invasive and lethal tests on animals in order to establish the effects of specific ingredients and subsequently give their products a competitive marketing edge. Inflicting skin wounds on the chests of 36 dogs and puppies to see if diet could affect fur growth. Furthermore, a PETA investigator worked undercover for 10 months at a research lab hired by IAMS and filmed the shocking conditions in which test animals were forced to live, in a video which can be viewed here. Pedigree, Masterfoods (Mars Inc) - Bounce, Cesar, Chappie, Frolic, James Wellbeloved, Katkins, Kitekat, Pal, Pedigree Chum, Royal Canin, Sheba, Techni-cal (US & Canada), Whiskas, Thomas rabbit food, Trill bird food. Most of these pet foods are also made of poor quality ingredients and feature highly in 'animal derivatives'. Out of the list, I have only tried my 20-month-old JRT on Burns. 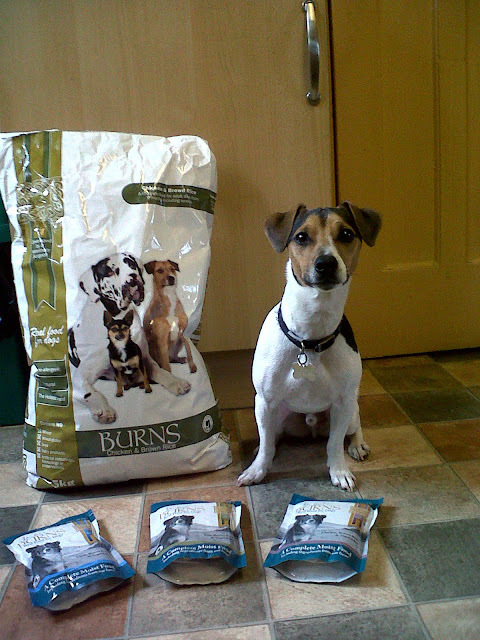 All these companies look great but I decided to try Burns as they use high quality, easily digestible ingredients, most of which are produced locally, plus they are stocked by my local pet shop. Burns have a range of different foods for dogs, cats and small animals, and I feed Jack on a mixture of the biscuits and the wet food. He loves it and always knows when it's dinner time! Unlike your usual tin of brown mushy dog food, I can actually see the rice, vegetables, eggs or meat in Burns food, and Jack's coat is always shiny and in excellent condition. A healthy dog makes for a happy dog! Only the best for my boy! 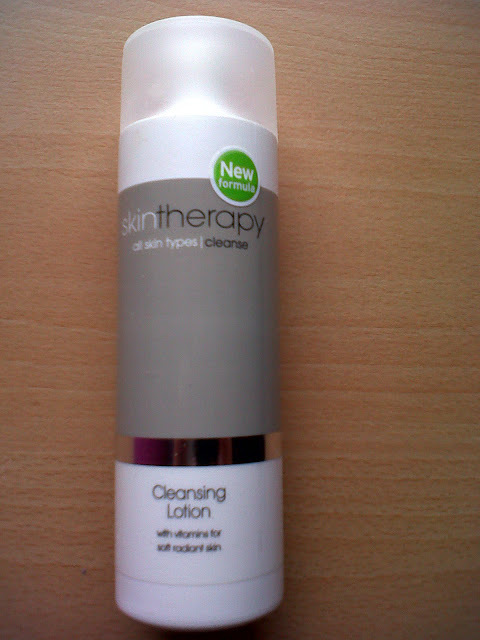 Recently I needed a new cleanser, and, rather than order some more of my usual, I decided to try one of Sainsbury's cleansers whilst I was shopping there, as they became BUAV approved last year. I picked the cleansing lotion as this is the type of product I usually use, and it was described as being suitable for all skin types. I liked the packaging and bottle design - simple yet stylish. The price was impressive too - although I can't remember the exact cost, I am quite certain it was under £5. The product promises to leave your skin feeling perfectly cleansed, revitalised and soft. It contains vitamins A, E and provitamin B5 to help maintain skin hydration, and it is also free from parabens. The main thing I liked about this product was that you only need a tiny amount, so it should last ages! It has a creamy consistency which removed my make-up well and left my skin feeling soft and supple after use. I usually use my cleanser to take off my eye make-up too, and although this product clearly warns you to avoid contact with the eyes, I used it anyway. Big mistake! A bit of product got in my eyes and it stung quite a bit but was fine after I rinsed them out. I still use this cleanser to remove my eye make-up, I just use the old-fashioned cotton bud method, and very gently I hasten to add! Whilst I am pleased that this cleanser is paraben-free, I would prefer it if more natural ingredients were used. The product contains quite a long list of chemical ingredients and preservatives, which, although deemed safe for cosmetic use, I'm sure were the reason it made my eyes sting. However, if you are after a gentle, effective cleanser and have a low budget, then this product certainly ticks all of those boxes.